It seems being married has its benefits in the virtual world as it does in the real world. If you're an online gamer you know that earlier this month Bethesda released the latest in the Elder Scrolls saga with The Elder Scrolls Online. Within the new role-playing game (in the Imperial Edition only) characters can get married and with that marriage comes earn a 10% experience point increase, so long as you and your partner are both online and are wearing the Ring of Mara--a sign of your eternal, digital love. 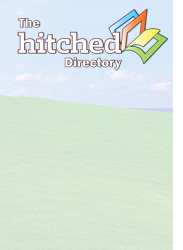 This IGN pages offers a nice walkthrough of how to go about getting hitched.